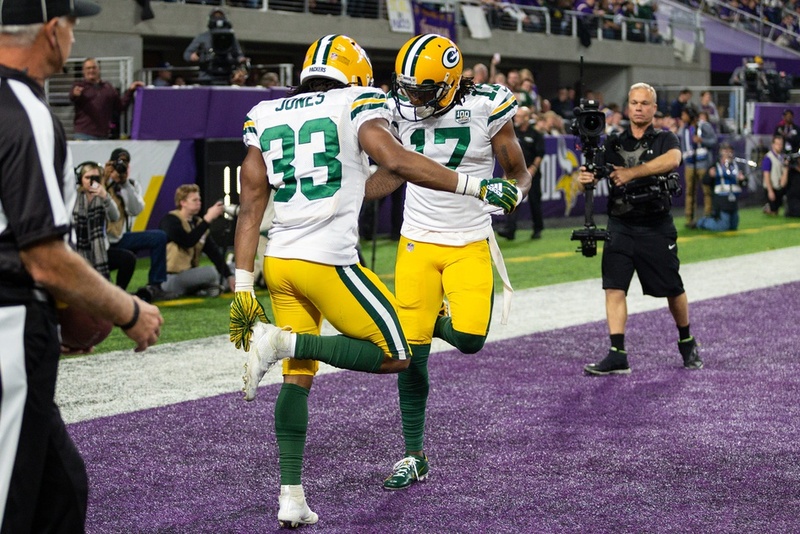 Adams and Jones TD celebration, apparently titled “Crank That”, has made it into the final four of NFL.com’s Touchdown Celebration of the Year. They each scored the only two touchdowns for the Packers during the November game in Minnesota against the Vikings. The competition looks tough so I wouldn’t put any money on the pair winning the final vote. You can watch the full video of the 6-yard run for a touchdown by Aaron Jones here. This gave the Packers the lead at the time but they ultimately lost the game against the Vikings with a score of 24 – 17. I would embed the video here for easier viewing but the NFL really loves money so I can not. Feel free to vote and be sure to check out the other celebrations in the competition.